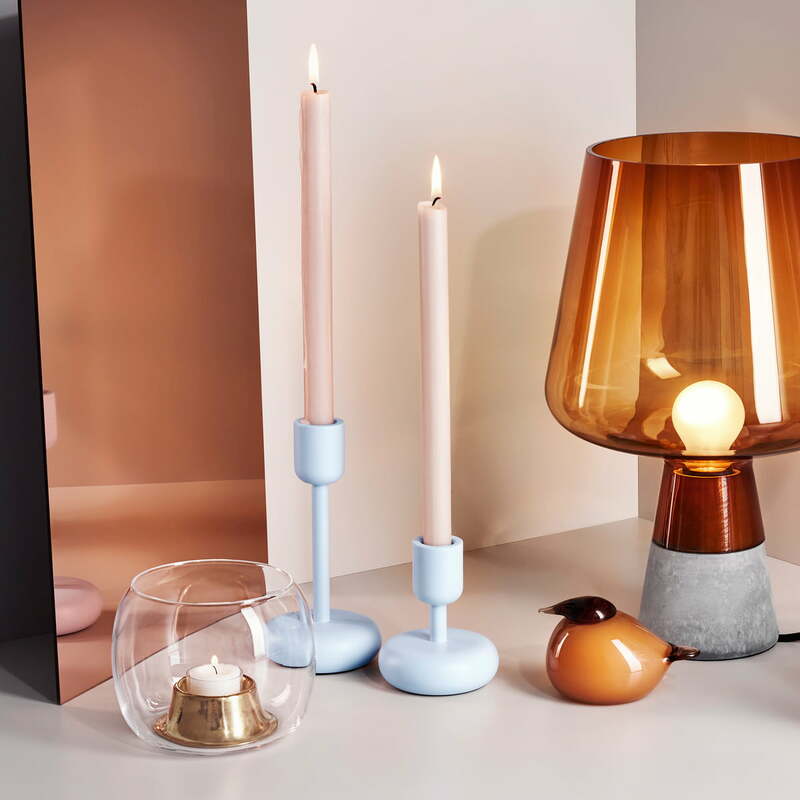 The idea of the Nappula candleholder was born when the designer Matti Klenell visited the glass museum in Nuutajärvi and fell in love with an unusually shaped table. Inspired by the distinctive and characteristic design of the table, Klenell created a series of modern candleholders: Nappula was born! The naming can be interpreted in very different ways, since the word "Nappula" has several meanings in the Finnish language, starting with the buttons on a controlling desk, game pawns or also the name of a child. 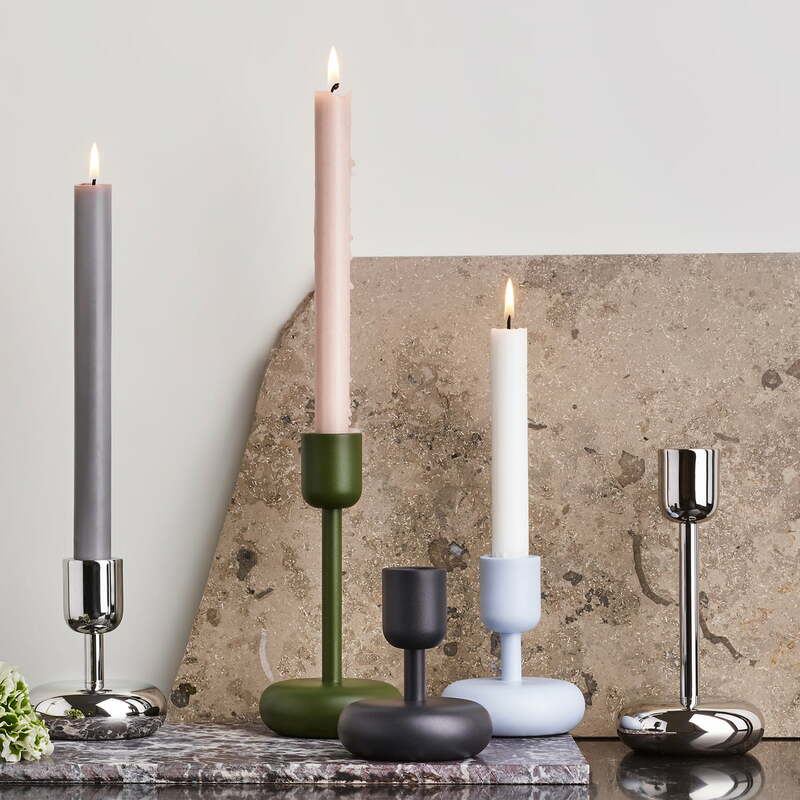 The Nappula candleholder by Iittala is available in different sizes and different colours. Nappula combines classic elements with modern influences and offers versions from small candleholders up to six-branched Kandelaber for any occasion or event. 6 of 8 customers have found this review helpful. 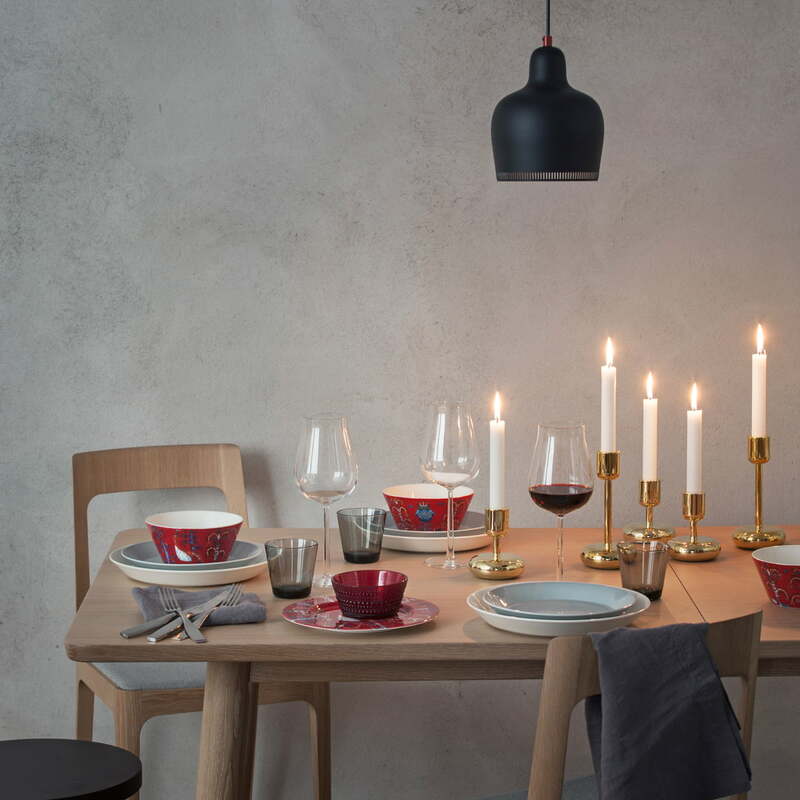 Every series designed for Iittala, such as Teema, Taika, Kartio, Kastehelmi, Essence Plus, Nappula and many more can be combined with one another, complementing each other and creating an impressive overal image on your dining table. 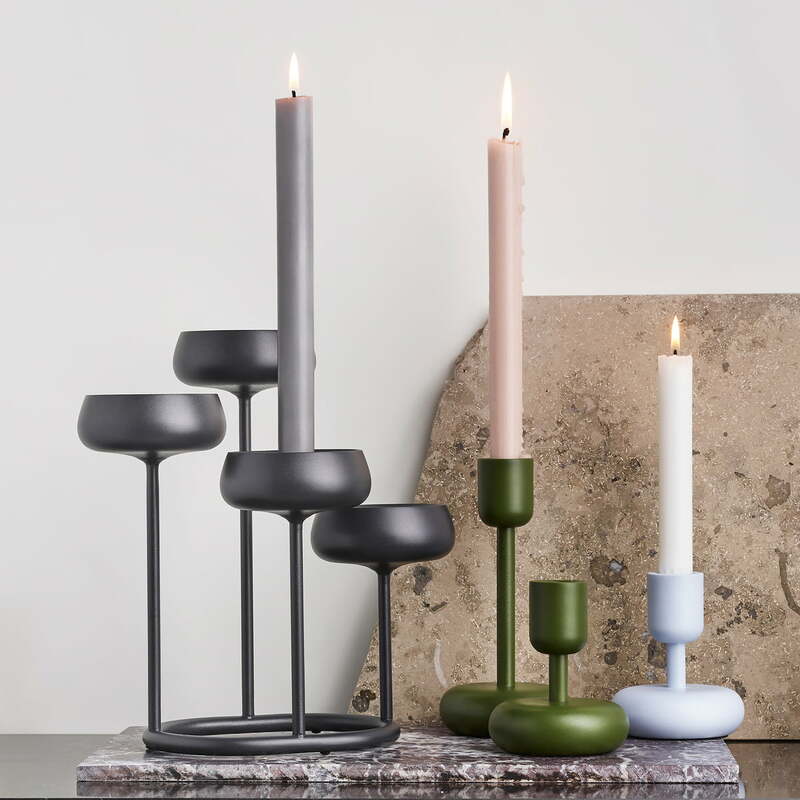 Lifestyle product image of the Iittala - Nappula 4-armed candleholder. Four narrow rods rise from the ring-shaped base of the candle holder, carrying an almost flower-shaped bowl at their ends. 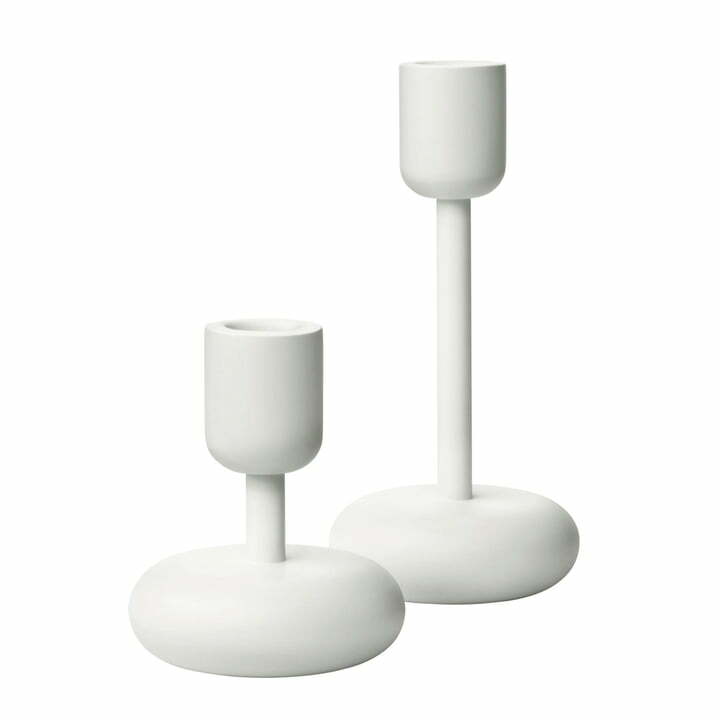 Lifestyle product image of the Iittala - Nappula candleholder, aqua. The distinctive shape of the Nappula candle holder fits perfectly into any ambience.